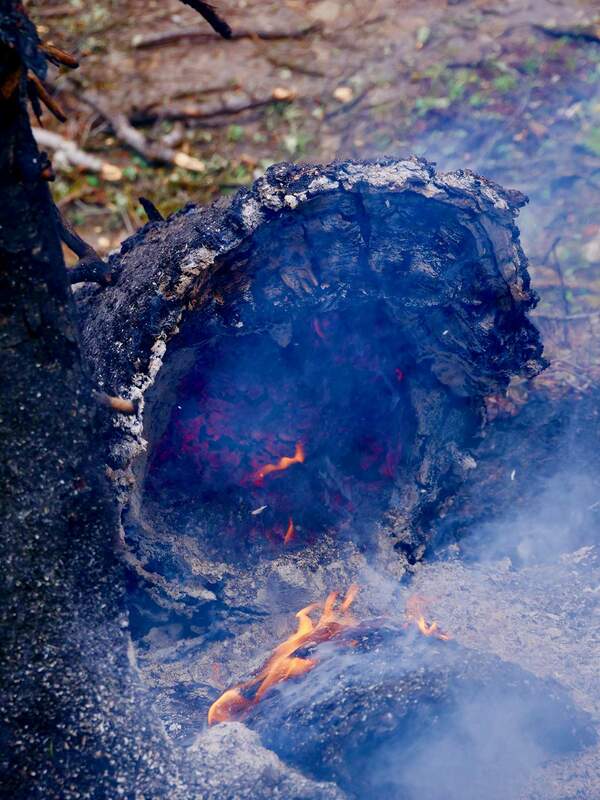 A stump burns in the Burro Fire on June 17. Fire recovery specialists are forecasting a minor increase in erosion and runoff from the fire. A burn scar in Bear Creek Canyon during the Burro Fire. Severity of soil burn in the Burro Fire. 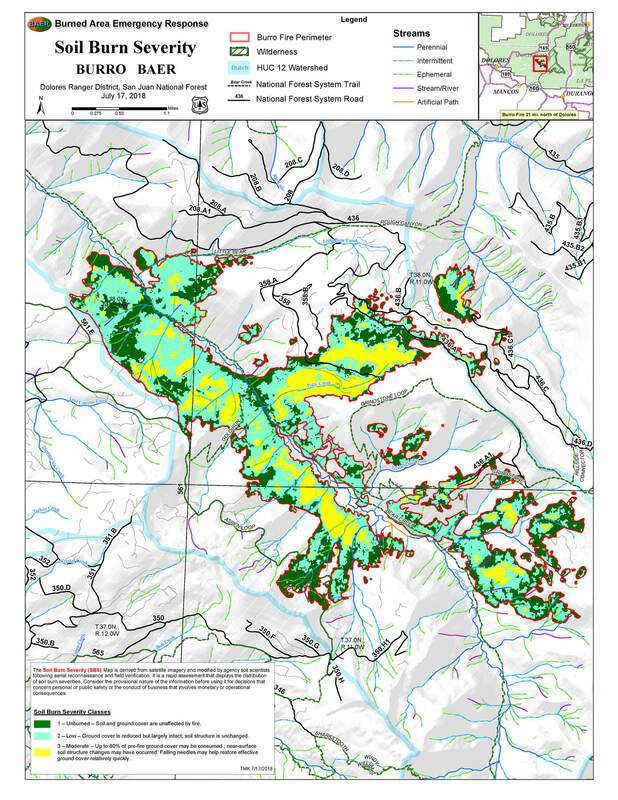 Yellow areas indicate moderate burn severity, in which soil structure is largely unchanged. Fire recovery specialists predict a minor increase in erosion and runoff resulting from the Burro Fire, which scorched 4,866 acres in Bear Creek Canyon northeast of Dolores. 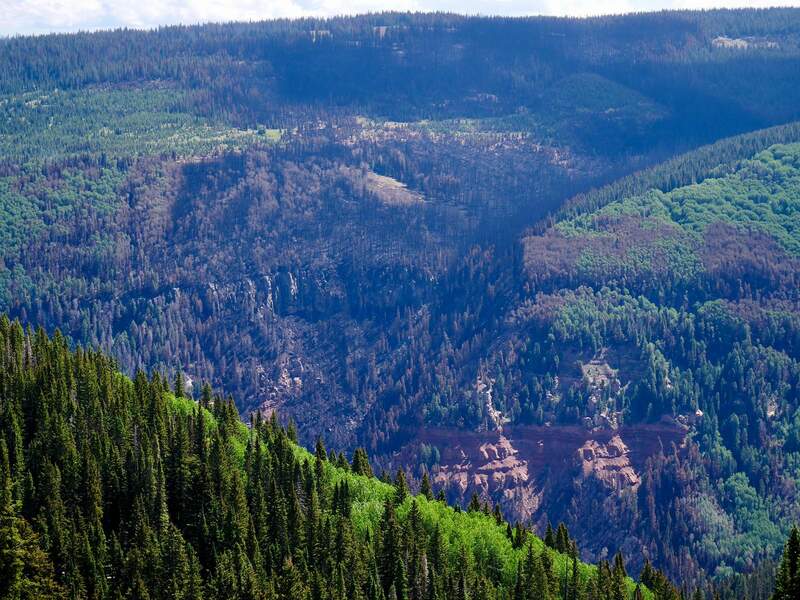 Only 17 percent of the area sustained a moderate soil burn severity, and no areas were found to be of high soil burn severity, according to a San Juan National Forest news release. In a moderately burned area of a mixed conifer forest, fire may consume up to 80 percent of the ground cover. Surface litter, such as leaves or needles, will be charred but recognizable. Gray or black ash may cover much of the soil surface, but soil structure and roots remain largely unchanged. In specific areas that experienced moderate soil burn severity, there could be concern for runoff from steep slopes and increases in post-fire erosion, flooding and debris flows. Soil in moderately burned areas still absorbs water, but more slowly than before a fire. By comparison, an area that sustains high soil burn may burn small roots and repel water 6 inches deep into the soil, substantially increasing the threat of significant runoff and debris flows.